Microsoft has just updated its PowerPoint app for iOS, adding support for Apple’s first ever wearable device – the Apple Watch. 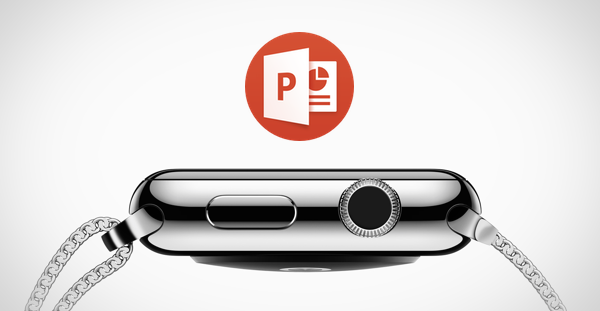 This new update adds the ability to control all your PowerPoint based presentations right from your wrist. A few days back, Microsoft updated OneDrive for iOS to support the Apple Watch, and has done so the same for its PowerPoint app that is available to download for free to those who are in the ownership of an iPhone, iPad or iPod touch. As you can guess by now, the Apple Watch part of the PowerPoint app lets you start and pause your slideshow, and easily navigate from one slide to another, right from your wrist. The Apple Watch will also display the elapsed time, the slide number you’re on, along with the total number of slides the presentation holds. PowerPoint Remote for Apple Watch: control your slide show on iPhone with a beautifully simple app. • Start your slide show and easily navigate to the next and previous slides. • At a glance, see the elapsed time, the current slide number and total number of slides. Apart from adding Apple Watch support to PowerPoint, you can expect the app to perform a lot snappier than before, thanks to Microsoft throwing in a few bug fixes and performance enhancements under the hood. 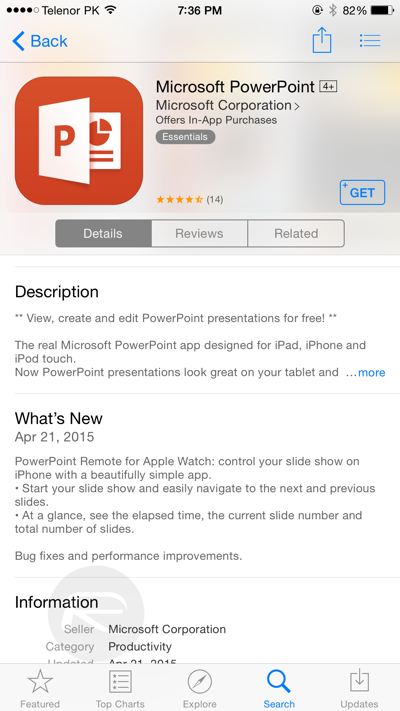 If you haven’t tried PowerPoint for iOS already, then we’ve provided the direct download link below. And if you make use of Microsoft’s Office suite of apps, then there’s no reason why you shouldn’t update.